Welcome to my site, which features my award-winning work as an independent consultant. 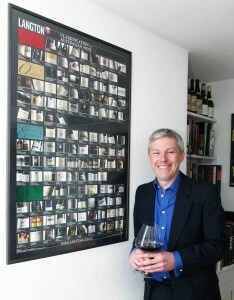 I am an experienced B2C and B2B consultant in the wine sector. I became an independent consultant after five years in publishing and before that five years in retail. Over 20 years’ experience of the UK wine trade has given me in-depth knowledge and insights into the sector, with the ability to understand problems and challenges at microeconomic and macroeconomic levels. My extensive network and my own first-hand experience on the ground, combined with my knowledge, skills, and experience, enable me to find solutions in this complex and challenging market. I have a straightforward and honest approach, combined with diligence and integrity.